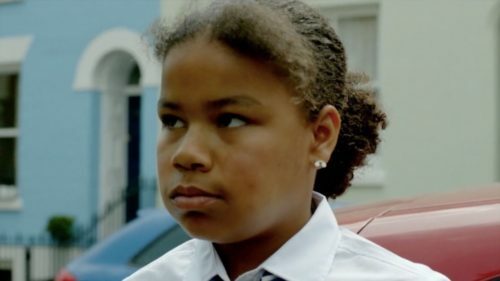 In observance of the November 20th Trans Day of Remembrance, trans actor, director and activist Jake Graf has collaborated with Mermaids and GIRES — two U.K.-based advocacy groups for trans and gender nonconforming youth — to create “Listen,” a five-minute short film featuring young trans actors discussing the challenges they face at home, school and in their personal lives. The film’s actors are between ages 11 and 15 and have all personally experienced discrimination. “Listen” reflects their experiences, emphasizing the need to hear and support them, especially when they’re silent. In the film, one girl listens as her parents argue about who caused her gender identity; one girl gets abandoned by her boyfriend and mocked by his pals; another boy starves himself, too scared to eat in fear of the mockery he’ll face in the bathroom; another teen cries in front of the mirror, scared at how their body will change without hormone blockers. In addition to being the film’s director, Graf is also an actor recently starred in Colette, a film about a 20th century French woman battling her husband for credit over her literary achievements. Graf says the increase of trans visibility in media has also spurred a backlash against trans rights. Susie Green, CEO of Mermaids CEO, added that she and the film’s other associates hope it’ll be used as a resource by schools and other organizations looking to positive affect the lives of young trans people.